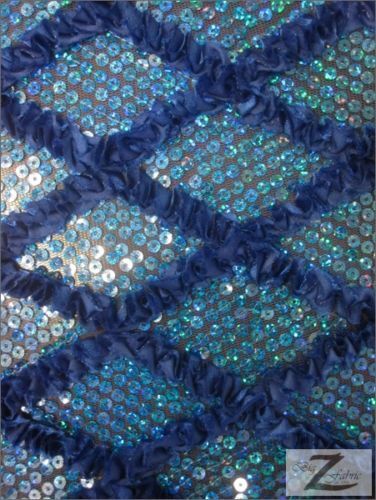 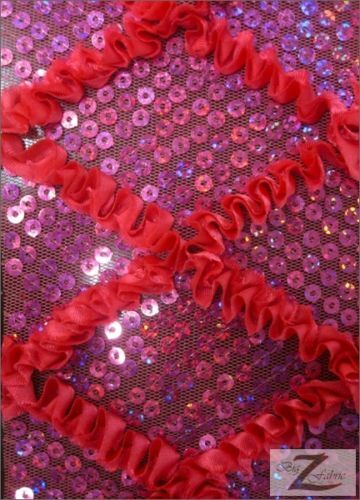 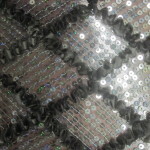 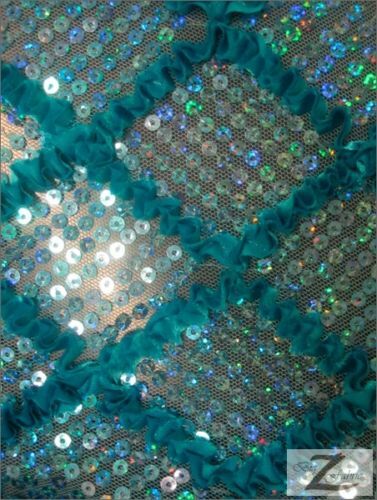 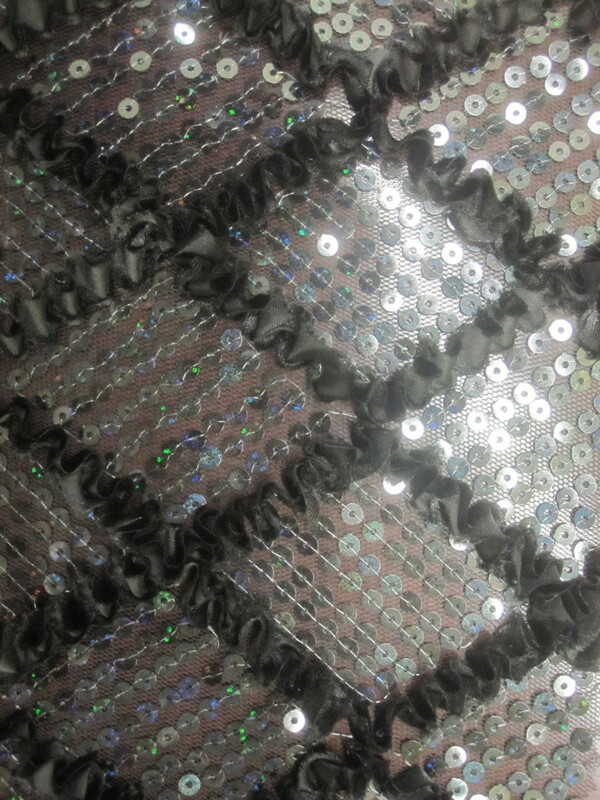 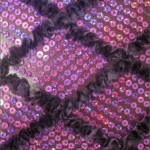 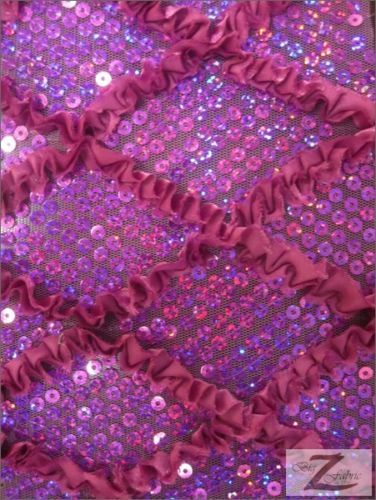 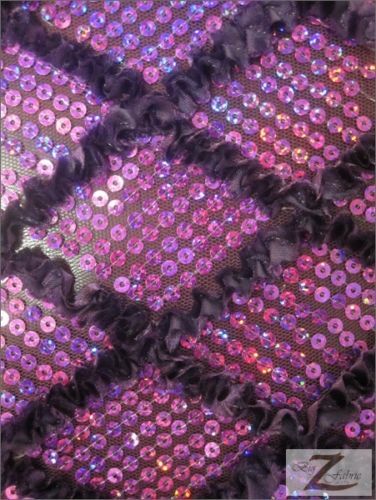 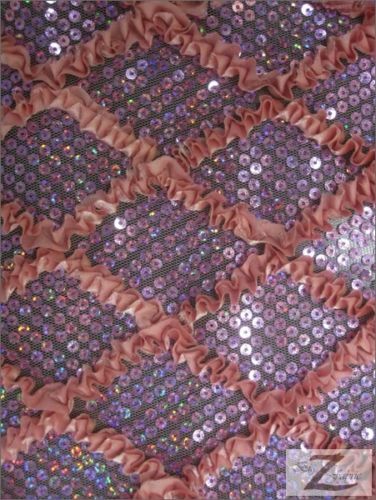 Diamond Ruffle Satin Sequin Fabric is a combination of a several popular designs ideal for the clothing industry. 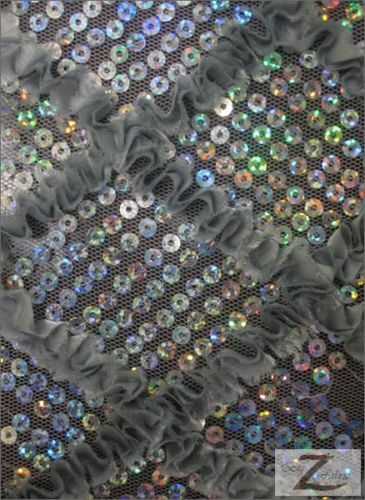 The Diamonds are made form Satin Fabric, formed by a ruffle design, and carefully sewn to the translucent mesh backing. 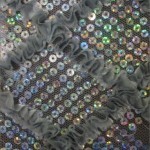 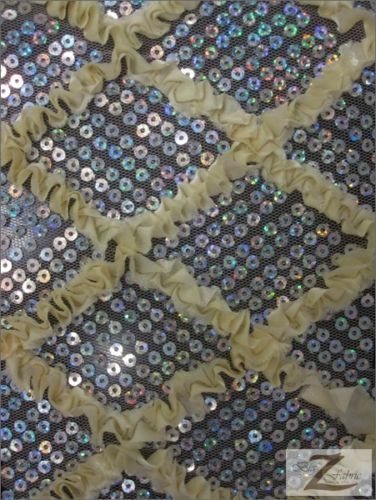 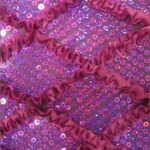 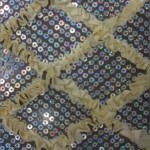 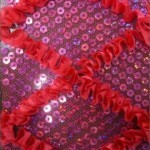 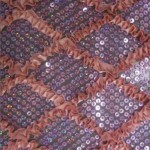 The mesh backing also has shiny sequins attached all throughout the fabric including inside the diamond ruffle pattern. 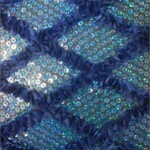 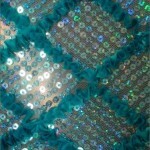 The sequins design gives this 58″/60″ (inch) in width fabric a flashy edge that only sequins can offer.